Tonet shares that the soap’s core concept is friendship. After weeks of hearing about the concept, Till I Met You’s director Antoinette Jadaone finally shared how the supposed “LGBT” aspect of their upcoming soap is going to unfold. 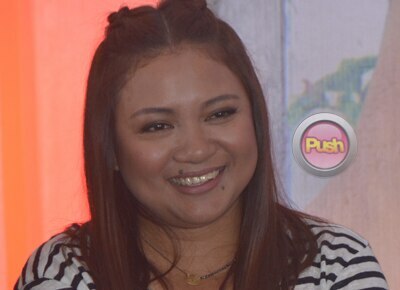 Direk Tonet, as people fondly call her, shared during their recent grand press conference that the said aspect would stem from the core plot of the soap. “’Yung story ng Till I Met You it will really start with friendship. ‘Yun ‘yung foundation ng Till I Met You,” she began. “There’s family, there’s love but ultimately there’s friendship. Doon uusbong ang ibang pwedeng i-tackle na kwento from that main concept, which is friends are the family we choose,” she explained. Since the announcement of that aspect and with the trailer of the soap, fans immediately speculated that Ali’s character, played by new Kapamilya JC Santos would have the LGBT leanings. JC shared during the press conference that Till I Met You is actually his first lead role on TV. Apparently JC has been part of Tubig at Langis and FlordeLiza in the past. Would he mind being typecast to gay roles in the future because of the soap? “I don’t mind. I’m fine. Okay naman ako eh. Basta may role na gusto ko eh di go. Ganon lang po,” he said. The blockbuster director promised that those who loved On The Wings of Love would surely enjoy their newest soap. “‘Yung pagka-playful i On the Wings of Love, ‘yung pagka light, romantic comedy niya dinala namin sa Till I Met You, ‘may ganong flavor parin pero siyempre may iba-ibang themes na ita-tackle na iba sa OTWOL,” Direk Tonet explained. James Reid and Nadine Lustre, meanwhile, revealed that Till I Met You would feature ”more mature” versions of themselves. “And I really like the story in Till I Met You over On the Wings of Love. And also, the chemistry of the three friends,” ended James. Catch Till I Met You starting tonight after FPJ’s Ang Probinsyano.